Registered Agent Service | We Beat Competitors' Prices! 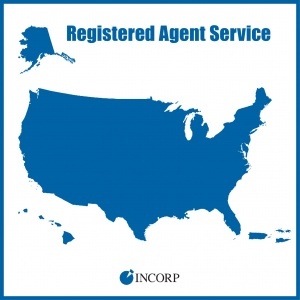 InCorp Offers National Registered Agent Services in All 50 States, DC, Puerto Rico and the U.S. Virgin Islands. Whether you are contemplating having InCorp form your new business entity, are filing your own entity and need a registered agent service, or are just looking to upgrade your existing service from your current provider, InCorp, The Premier Registered Agent Service™ is the best choice for comprehensive and accurate services at an attractive price! What exactly is a registered agent (a.k.a. resident agent, statutory agent or corporate agent), and why would I need one? A registered agent is a person or entity, designated in the articles of incorporation / organization, who can accept legal documents and notifications from a state office on behalf of a corporate entity. All corporations and Limited-Liability Companies (LLCs) must choose a person or entity to act as their registered agent. There are few restrictions regarding who can be a registered agent other than that the person or entity must be located and available at a physical street address within the state during normal business hours. It is important that you select a reliable company when choosing your registered agent. Perhaps you've heard that you can act as your own registered agent... Not a good idea! If you act as your own agent, you don't have the flexibility to close your office or have flexible hours since you must always be open to accept service of process (SOP). Additionally, having a professional registered agent saves you from potentially being served with legal papers in front of your family, clients, neighbors or vendors. Lastly, you will appreciate having a service to track and notify you of annual reports being due and other filings that you may have to periodically file. Remember: If your Registered Agent is not reliable, you could lose your corporate or Limited-Liability Company status and have to pay considerable penalties. This is why national registered agent services is InCorp's primary business! How Can InCorp Save You TIME? Through EntityWatch®, the innovative and proprietary technology developed first by InCorp, our information system ties into most of the state databases to give you up-to-date information on the status of your entities including the filing status, the current registered agent, officers and directors. EntityWatch® also advises you of changes to help prevent corporate identity theft. Over-the-counter expedited filing service available in most states. Receive a consolidated bill for all of your companies in every state hosted. InCorp provides national registered agent service and has offices in all 50 states and the District of Columbia to service your needs in other states as you grow! Receive notification of all service of process in real time and receive said service of process within 24-hours of receipt via Express Mail, facsimile or email. View, upload all of your state filings, corporate documents and statuses via the Internet on our comprehensive client website at no additional fee! How Can InCorp Save You MONEY? As we strive towards excellence we also strive to maintain the LOWEST PRICES IN THE INDUSTRY! Our standard fee to serve as registered agent is only $99 per state*! 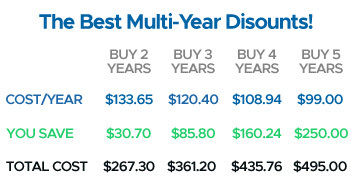 And you can save even more when you choose multiyear service. Avoid paying late fees to the state! By electronically tracking the due dates of your filings we are able to notify you faster and easier. In Nevada you also receive free use of a Class A business address as well as our free basic privacy protection! * Continental USA, Alaska and Hawaii only (USA Territory pricing may vary).